Greetings friends and fellow crafters. 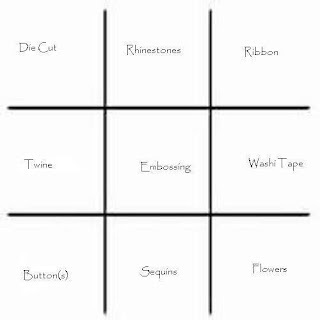 LeeAnn here today with my project inspiration for Kennedy Grace Creations using the Tic Tac Toe board. 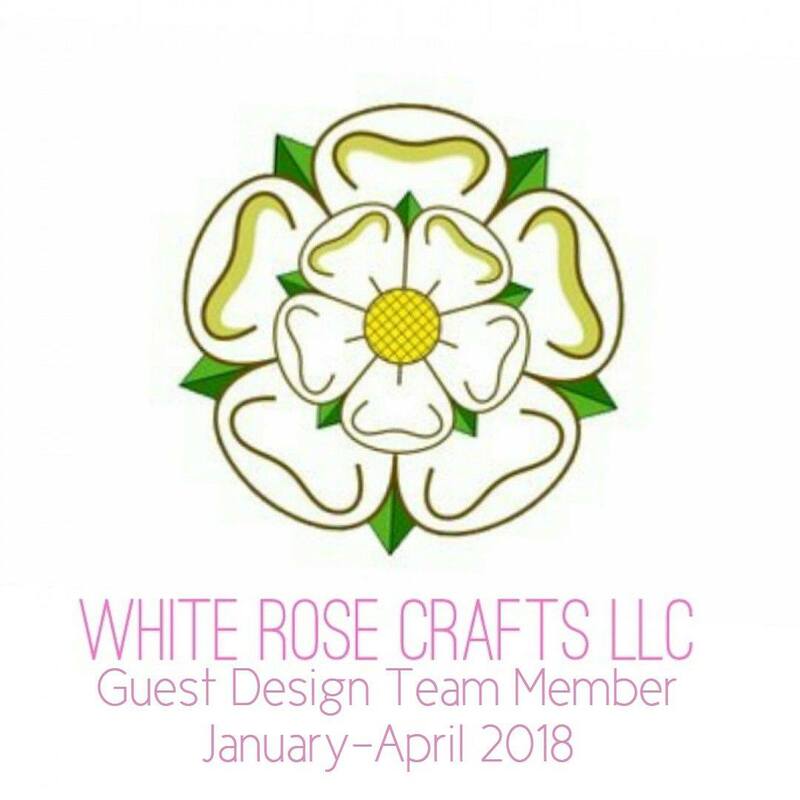 I sure would love to see you playing along and posting your projects over on our Facebook Fan page. 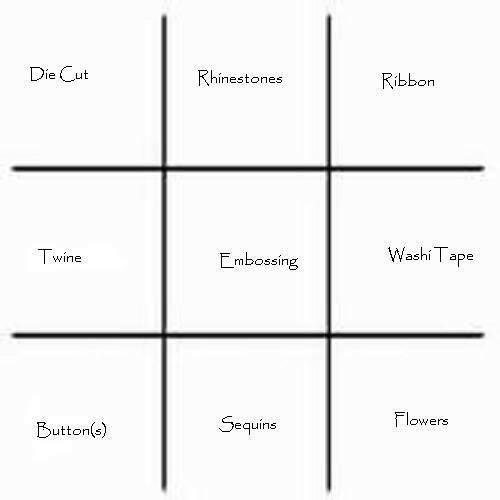 Using the Tic Tac Toe board below, I went with a straight line down the left side using Die Cuts, Twine and Buttons. The stamp set I chose to use is Sing A New Song, not sure about you but I am ready for winter to be over. I am a Florida girl, and do not care for cold weather. And the last couple weeks has been too cold for my bones. So this stamp set made me happy for my favorite season of the year. 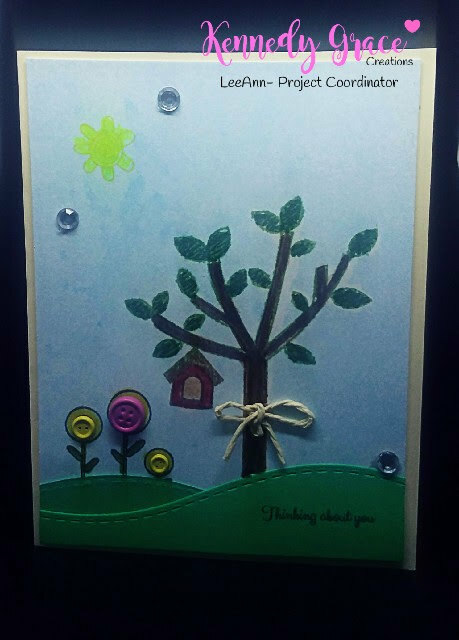 First I stamped the tree image with the hanging bird house. I used masking fluid to mask it off and spritzed with Summer Sky Shimmer Spray from Imagine Crafts. I removed the masking fluid and went about stamping the remainder of my card topper. I used Memento Tuxedo Black to stamp the flowers, and the tree, and Memento Dandelion to stamp the sun. I used Rich Cocoa and Desert Sand Memento Markers to color the tree, and Cottage Ivy with Pear Tart to color the leaves. The Bird House is Desert Sand, and Rhubarb Stalk. The sun is colored with Spectrum Noir FL3. A bow made of twine to appear to be wrapping the tree, button brads for the flowers, and stitched dies for the land completed the requirements, then I went for one more square the rhinestones. The idea for this card and the use of the "Thinking about you" sentiment, came about because just this week we had National Guard Troop 128 deploy overseas, and that always makes me think of the song "Tie A Yellow Ribbon" Some say the song is about a guy getting out of jail others say military, I just remember loving the song as a child and we had a ribbon out when my uncle came home from overseas. I hope you have enjoyed my project today and look forward to seeing what you have to make.